Trainer Ron Quinton saluted his proudest ever day in horse racing as Dixie Blossoms won the Coolmore Classic at Rosehill on Saturday afternoon. Quinton was forced to withdraw last year's winner, Daysee Doom, due to a wide barrier draw and a heavy track, but stablemate Dixie Blossoms came up trumps to take the win. I've just been dying for Dixie to win that Group One and she was like the Dixie of old. Christian Reith steered her to a 2-1/2 length win over El Dorado Dreaming with Princess Posh another 1-1/4 lengths away in third, to hand Quinton his proudest moment. That says something as he has a Cox Plate and four Golden Slippers among the trophies he collected as a jockey. but none mean more than his fourth Coolmore Classic as a trainer. "This is my proudest day on a racecourse," Quinton said. "To win a Group One with my favourite horse is just unbelievable. She's been knocking on the door for a couple of years and she is such a doll. "She is one of the kindest horses you could ever have anything to do with and you could let her out on the street and she would find her way home. "I've just been dying for Dixie to win that Group One and she was like the Dixie of old." Dixie Blossoms and Daysee Doom, who are both six years old, will go to stud in the spring and Quinton says they will be sorely missed. "Daysee has her quirks but they are both so talented," he said. "Maybe I can talk Alan (Osburg) into keeping Dixie going but I don't think so." Before then, Both Daysee Doom and Dixie Blossoms are likely to head to the Group Two Emancipation Stakes (1600m). Meanwhile Microphone is 15/2 on a win and each way bet to win next weekend's Golden Slipper with Tenley 5/1. 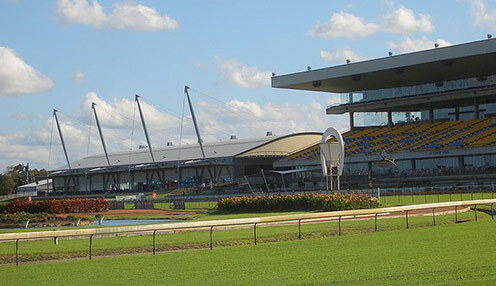 On the same day, the Rosehill Guineas is taking place with The Autumn Sun 1/2 to win with Madison County 6/1.